The night before his assassination in 1968, Dr. Martin Luther King Jr. told a crowd of Memphis sanitation workers that Ralph David Abernathy was his best friend. 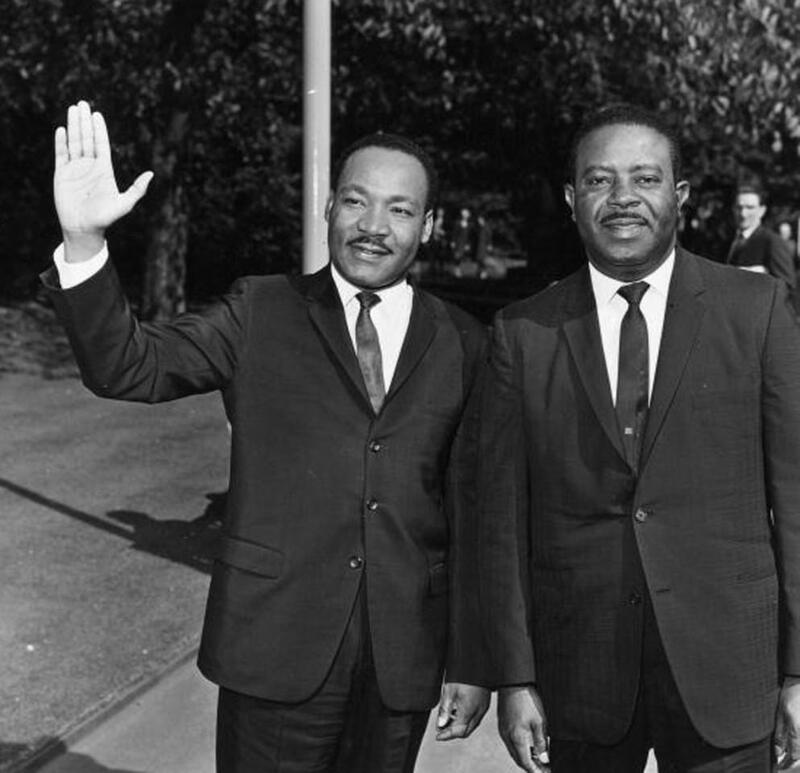 Ralph Abernathy (right) standing with Dr. Martin Luther King Jr. 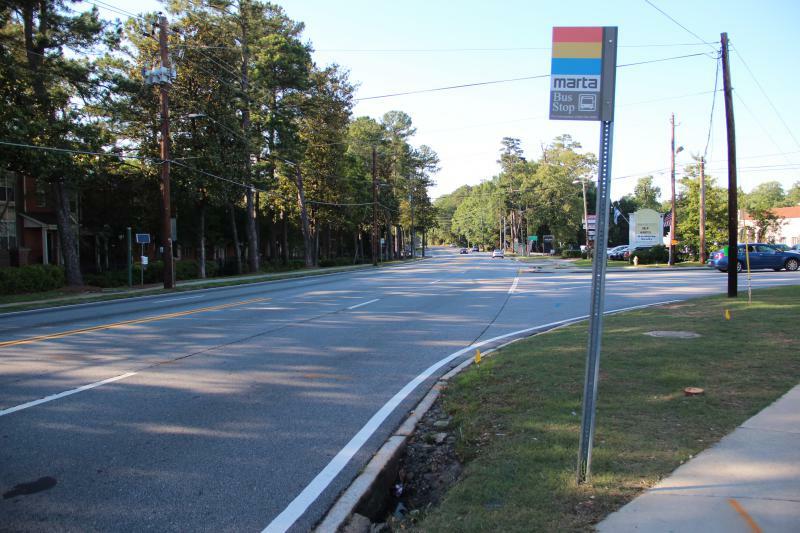 They'd met about a decade earlier, when Rosa Parks was arrested on a Montgomery bus in 1958. Abernathy and other Alabama leaders formed the Montgomery Improvement Association. They recruited King to join the Montgomery bus boycott. The following year, Abernathy and King co-founded the Southern Christian Leadership Conference in Atlanta. Abernathy died in Atlanta in 1990, a year after publishing his memoir And the Walls Came Tumbling Down. 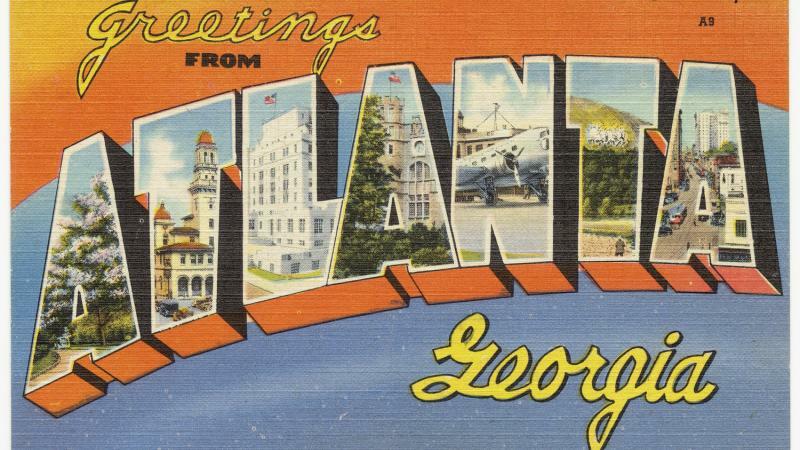 With its rich civil rights history, Atlanta has several places named for Abernathy. The year after his death, the Georgia Department of Transportation named the stretch of Interstate 20 heading west to Georgia State University the Ralph David Abernathy Freeway. And Ralph David Abernathy Boulevard winds through Atlanta's west side from Westview Cemetery to Georgia State Stadium (formerly Turner Field). Twenty years after Abernathy’s death, hip-hop artists Kanye West and Jay Z released "So Appalled" (2010), which features a tribute to Abernathy in a verse rapped by Georgia native Cyhi da Prynce. 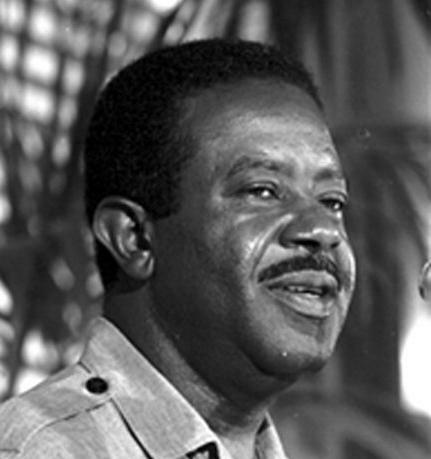 Read more about Ralph David Abernathy and his involvement in the civil rights movement.